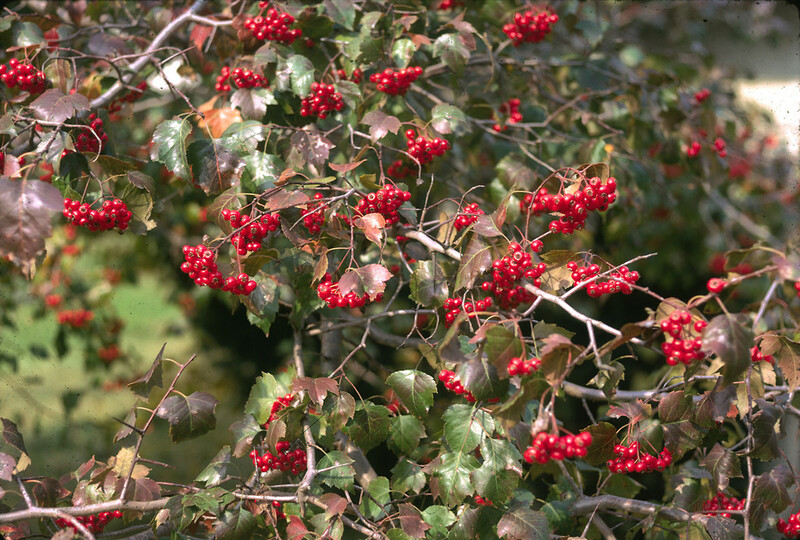 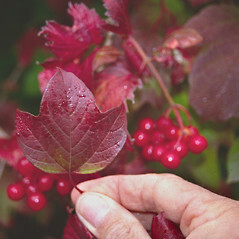 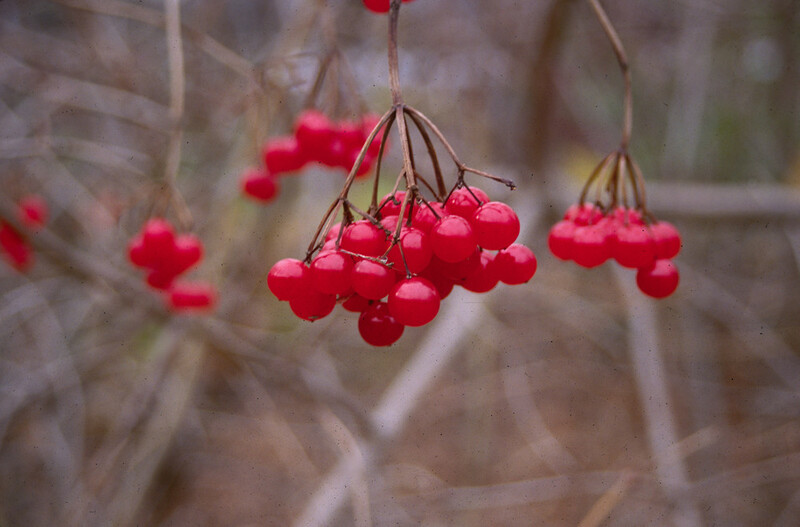 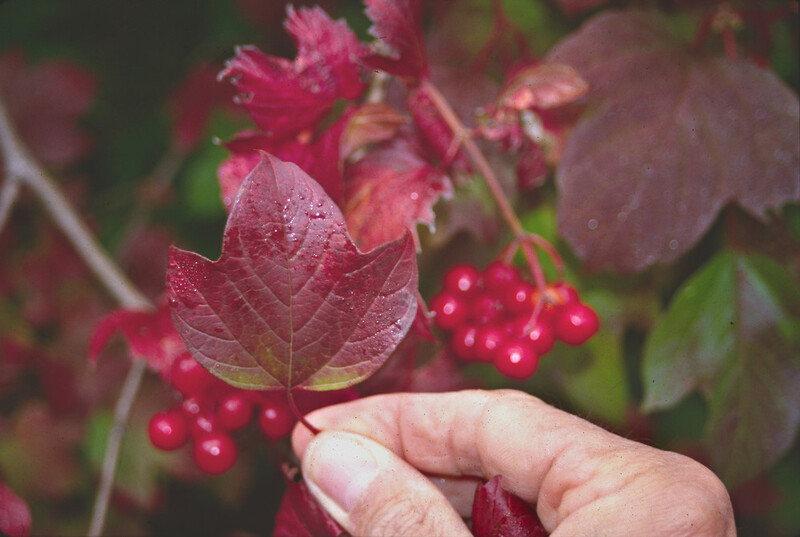 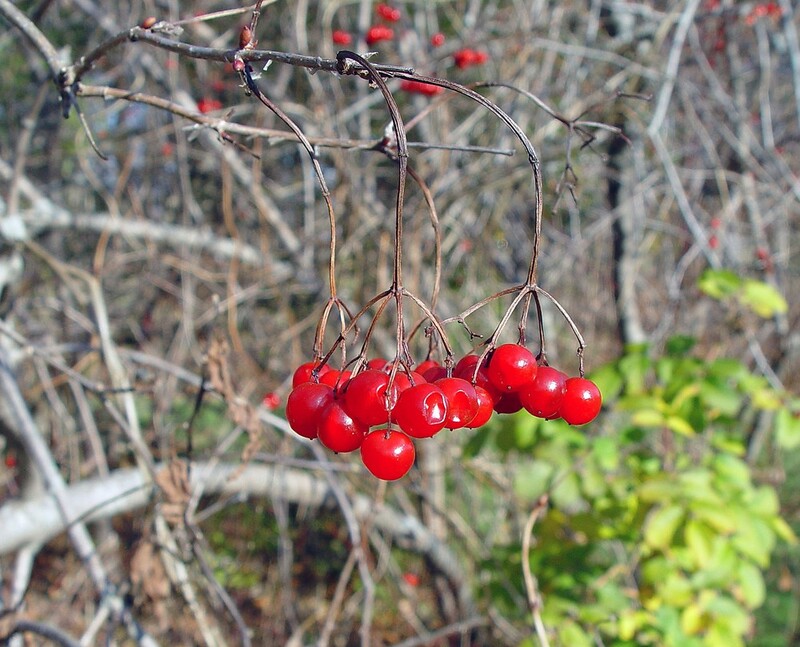 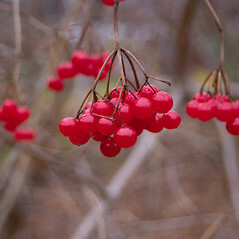 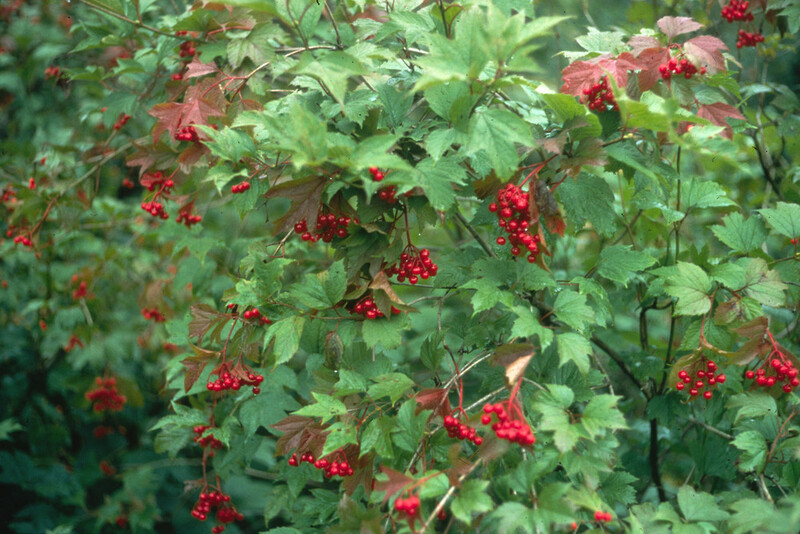 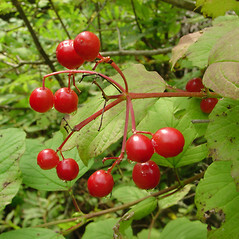 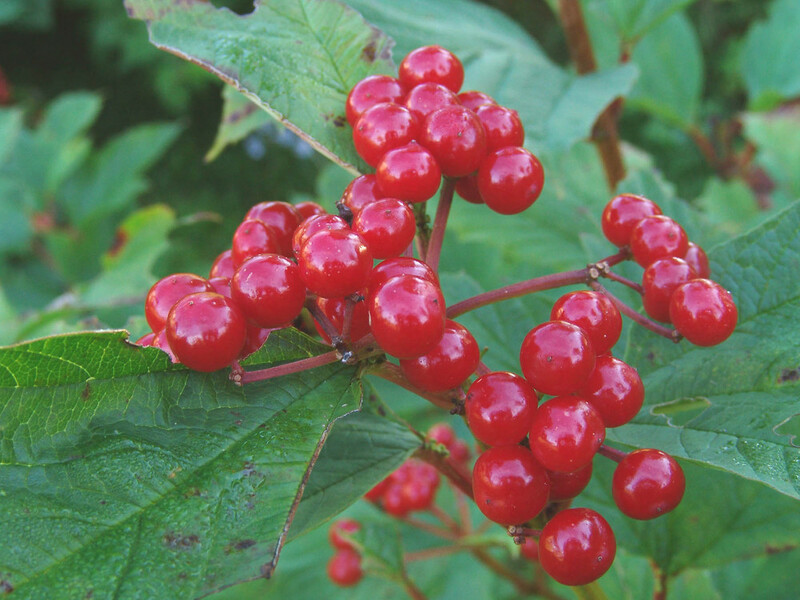 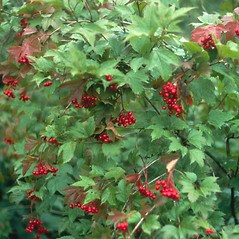 The distinctive orange-red berries of highbush cranberry lend this species its common name. 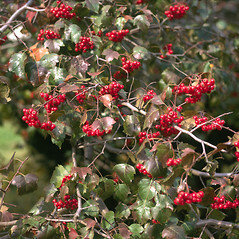 They often remain on the shrub throughout the winter. 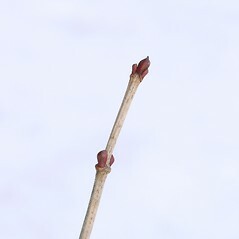 It readily sprouts after a fire. 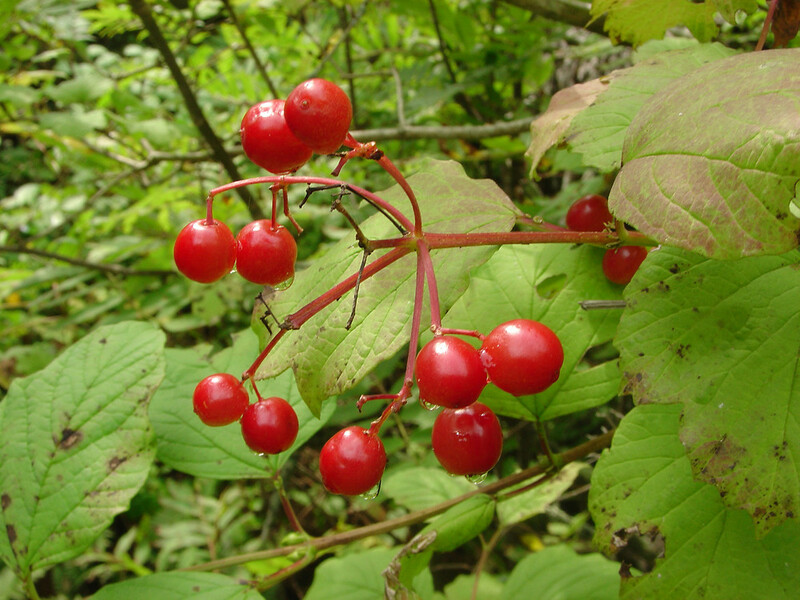 Black bears and birds, including ruffed grouse, eat the berries in the fall. 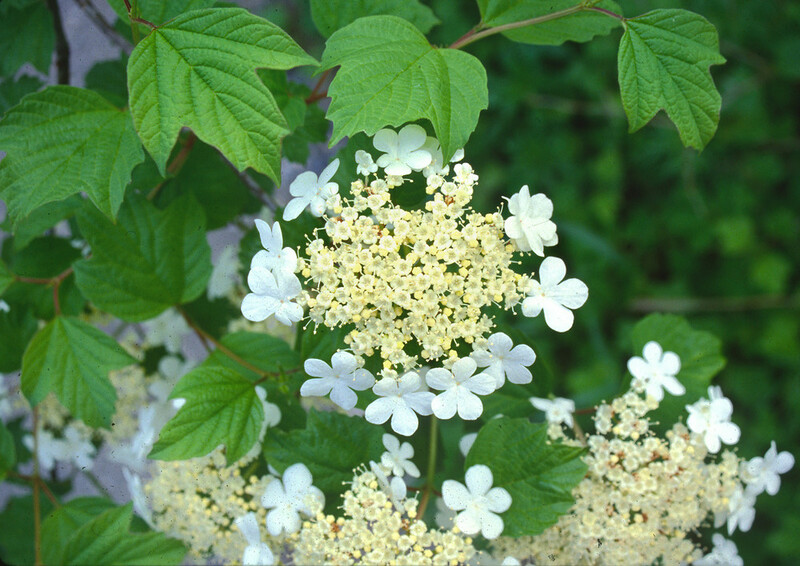 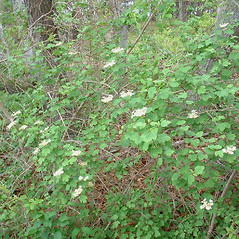 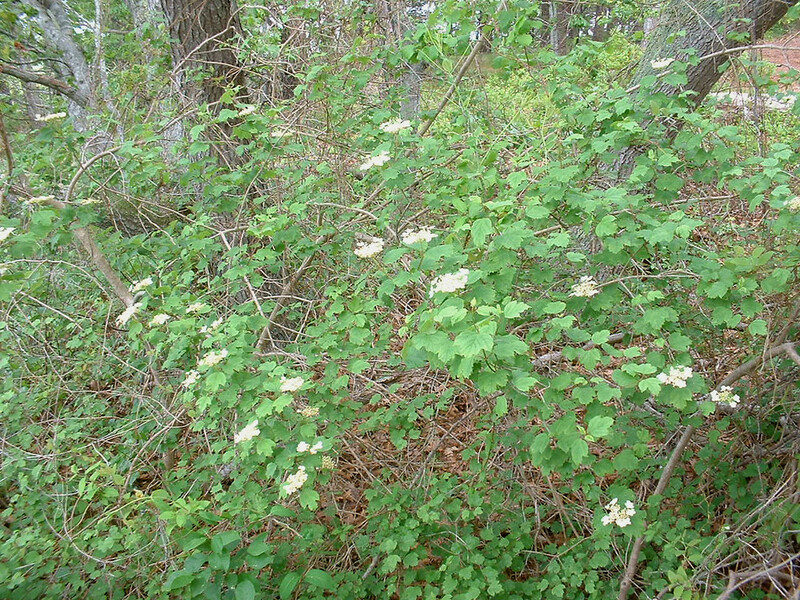 Along forest edges and hedgerows, these shrubs provide important cover to small mammals and birds. 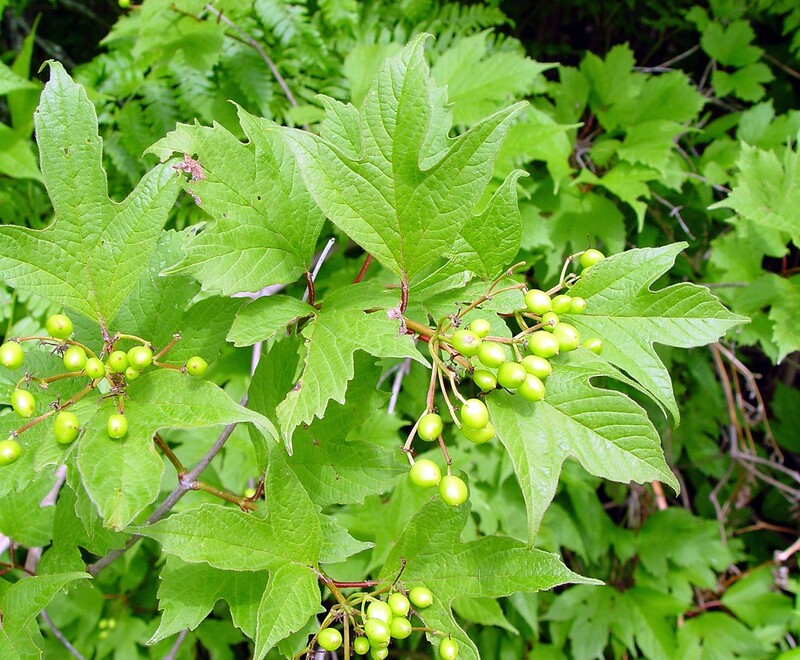 Slightly unripe berries make good jams, jellies, and sauces. 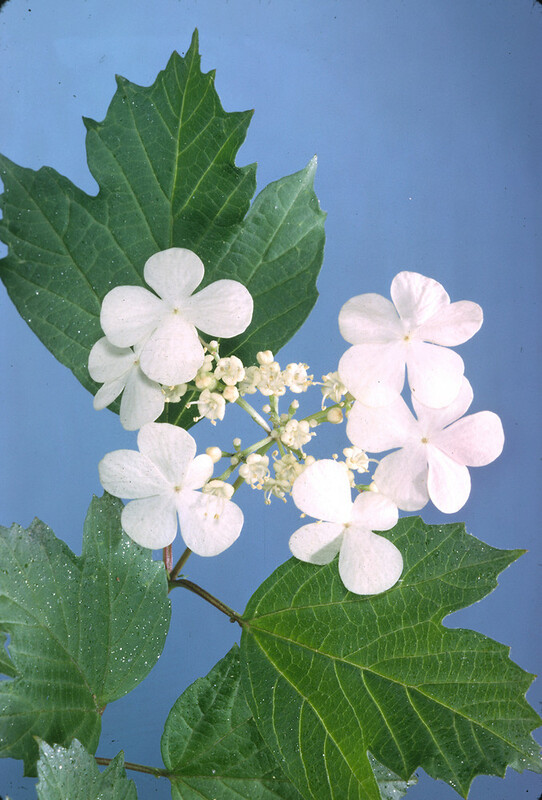 marginal flowers not enlarged and leaves exstipulate (vs. V. opulus, with marginal flowers of inflorescence enlarged and leave stipulate). 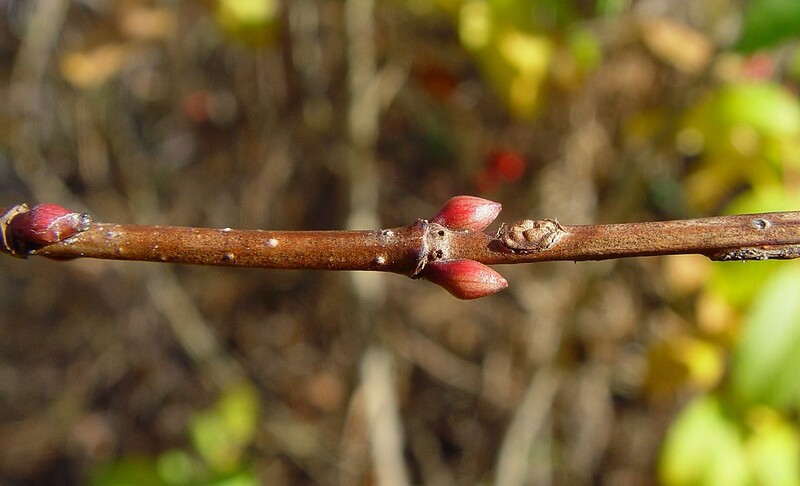 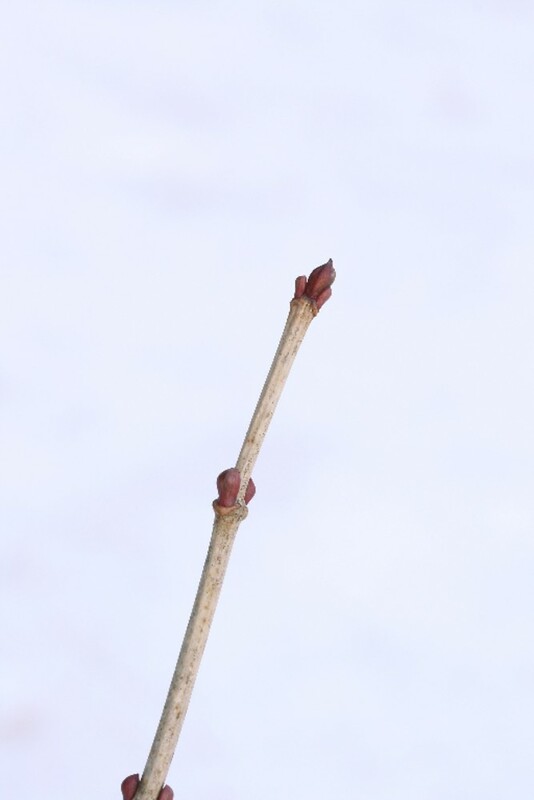 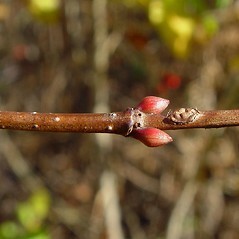 branchlets and winter bud scales minutely hairy and mature fruits dark blue to dark purple (vs. V. opulus, with branchlets and winter bud scales without hairs and mature fruits red). 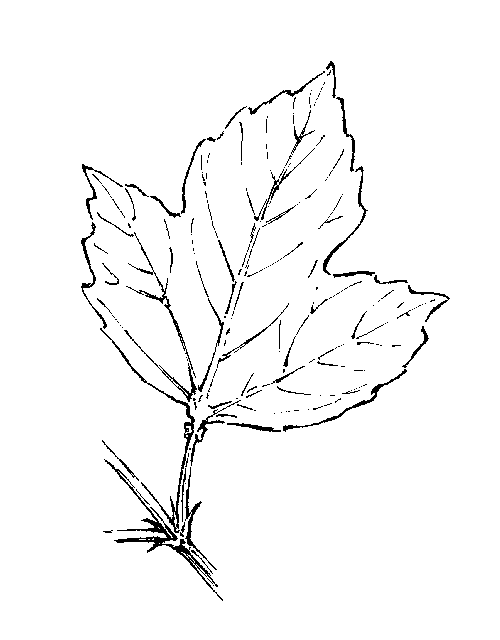 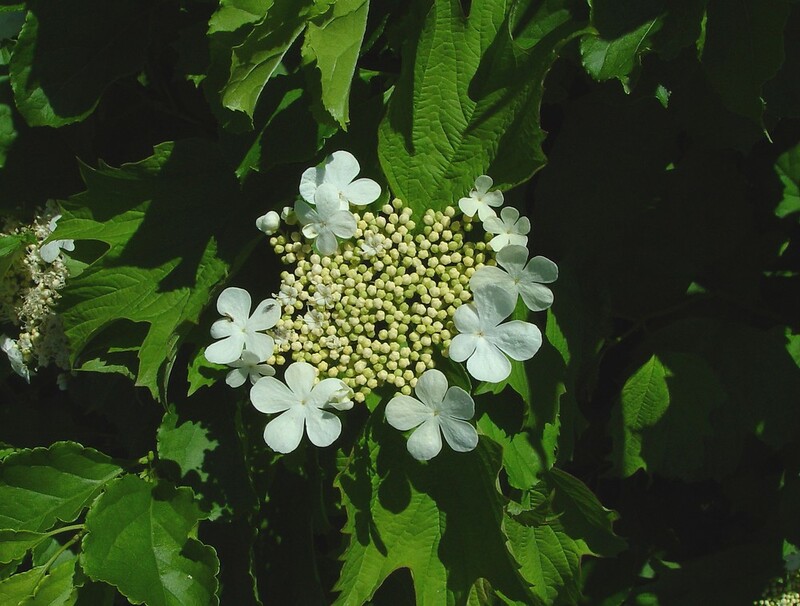 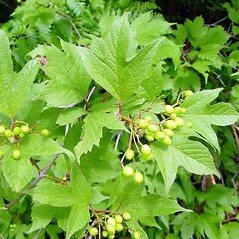 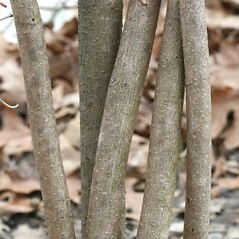 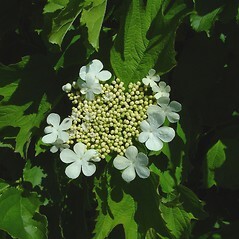 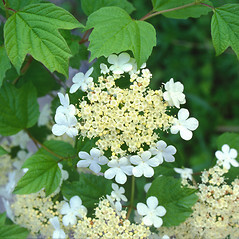 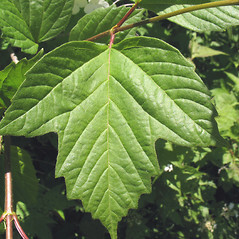 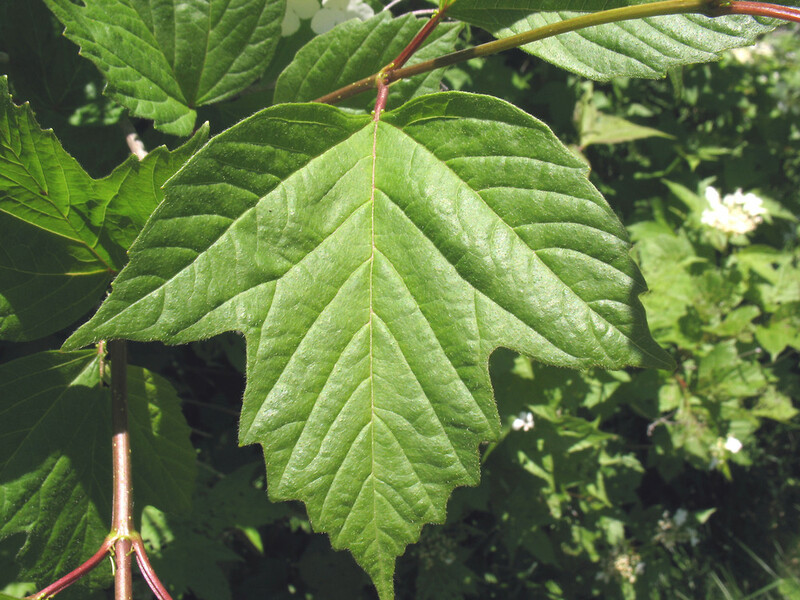 Viburnum opulus L. ssp. 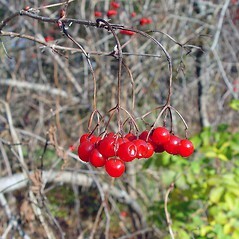 opulus is non-native and known from CT, MA, ME, NH, VT.
highbush-cranberry. 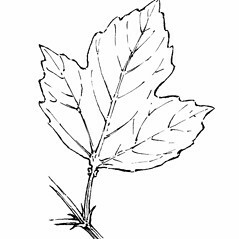 9a. 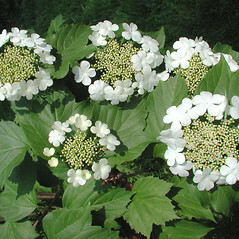 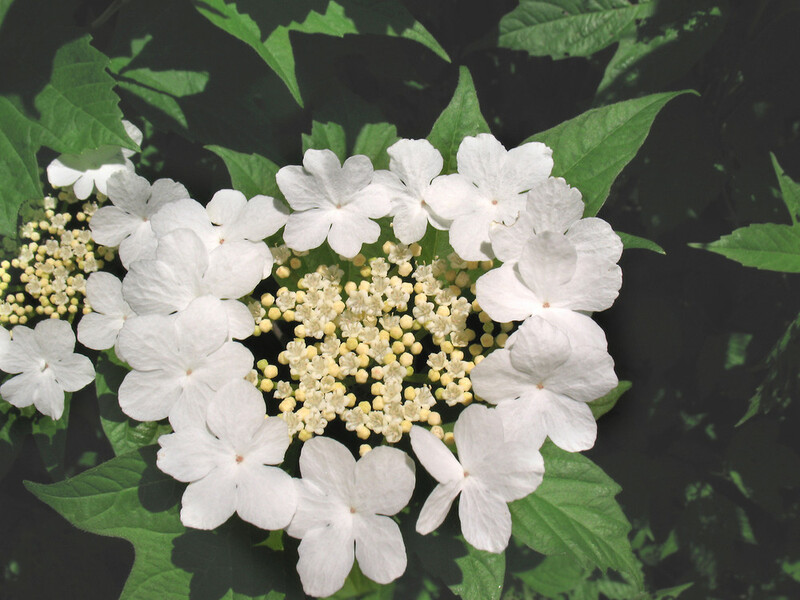 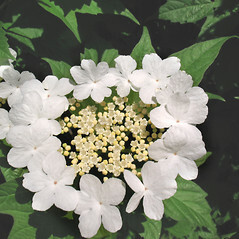 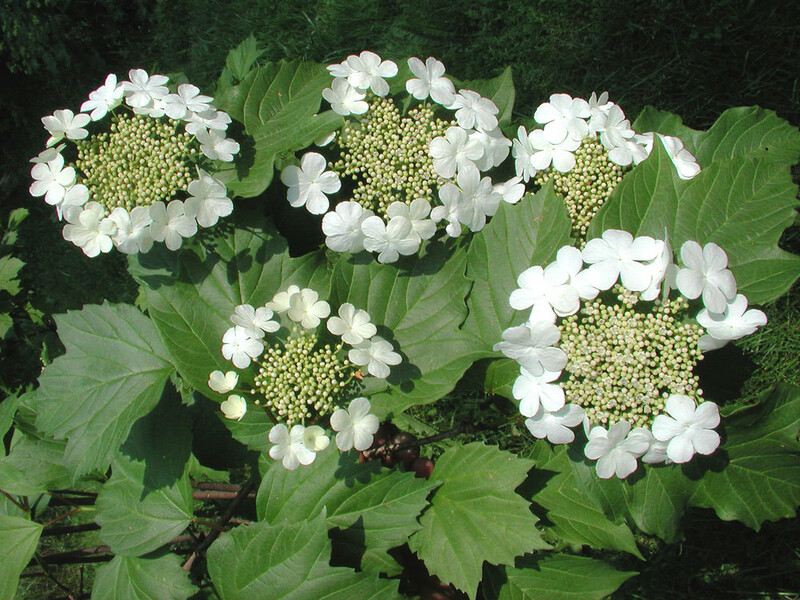 Viburnum opulus L. var. 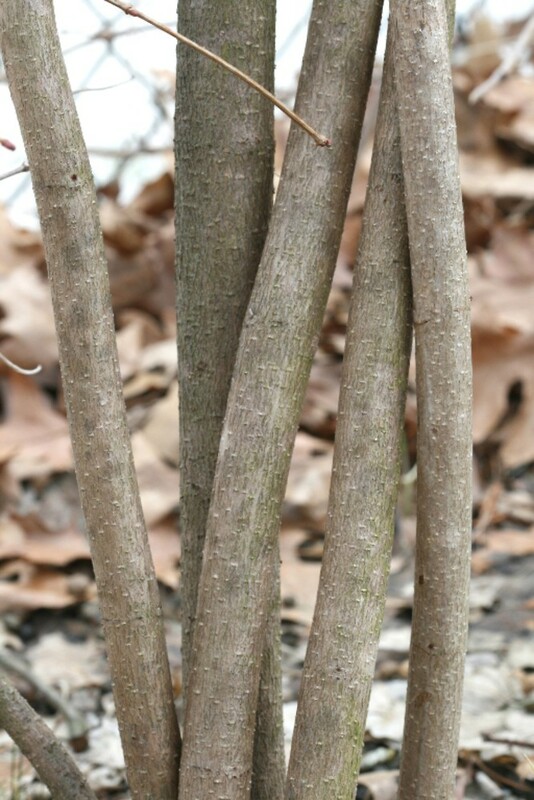 americanum Ait. 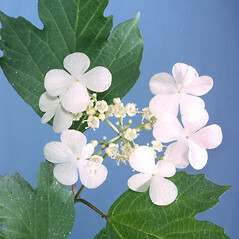 ; V. trilobum Marsh. 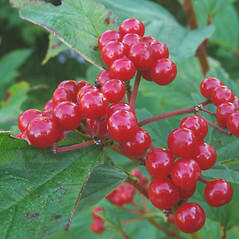 ; 9b. 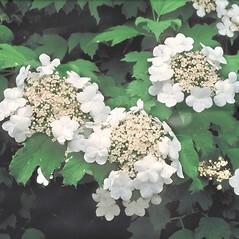 Viburnum opulus L. var. roseum L. • CT, MA, ME, NH, RI, VT. Swamps, wetland margins, shorelines; also introduced to field edges, roadsides, and abandoned lots. 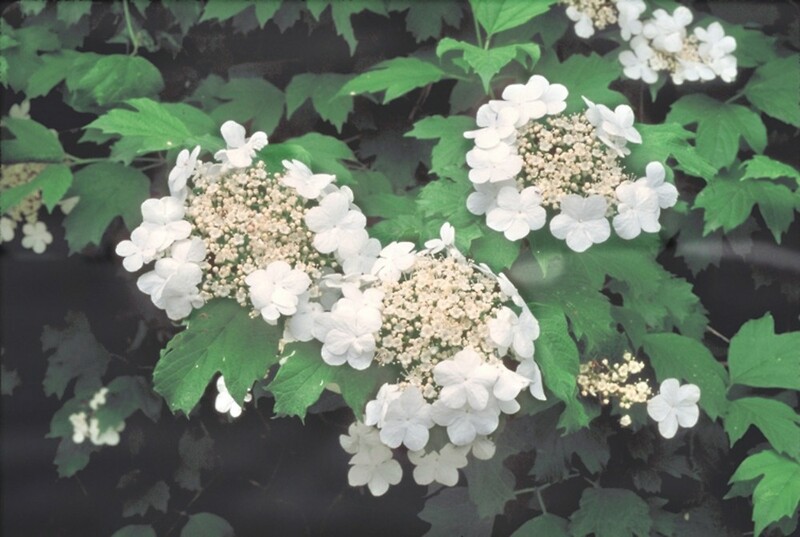 by Kartesz (1999), based on George (1992); however, George (1999) stated this taxon was not naturalized in RI.